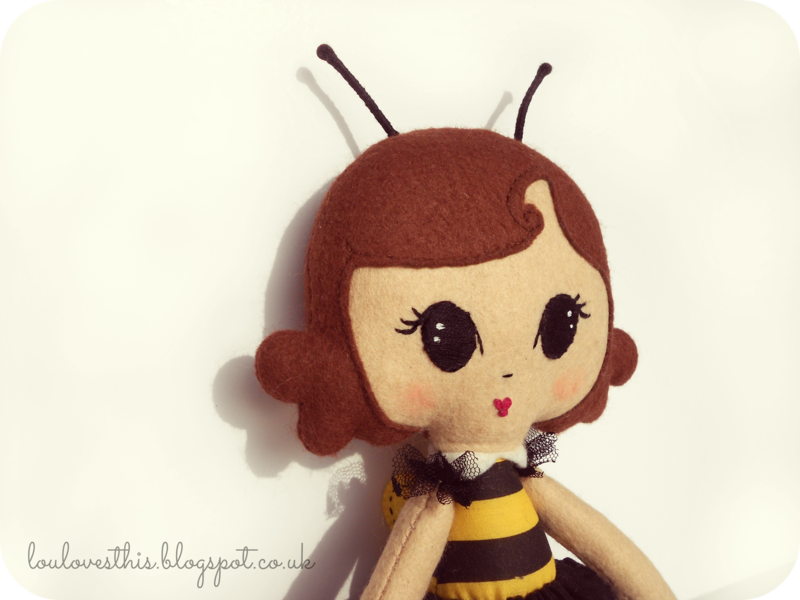 Sometimes, when making a doll or a softie, I am very conscious of letting it's character kinda develop as I'm stitching, I usually have a very definite idea of colour and theme, but there is a certain delight in turning your new creation right side out and seeing a little wonky ear or a jubilant little face! 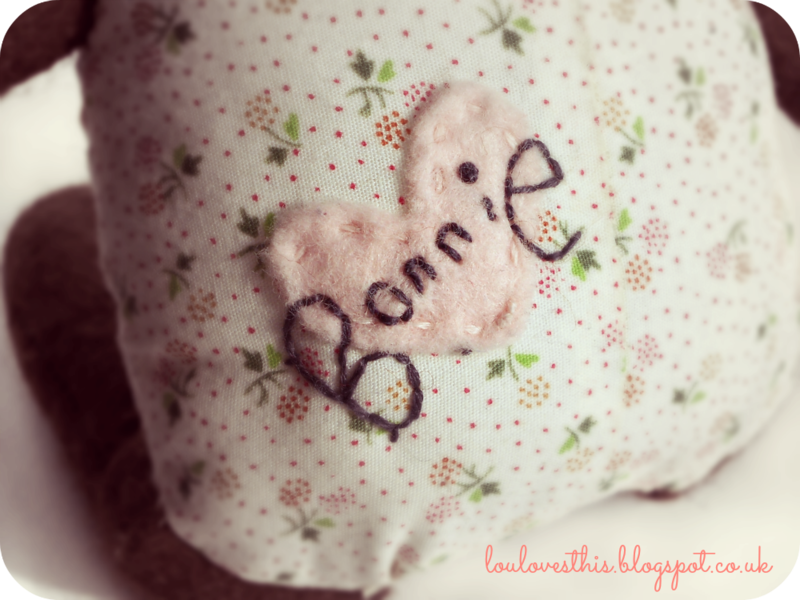 Bonnie came about as I was making some softies for my Girls at the Saturday Stitches Club... and I got to thinking that I have never made a teddy bear! 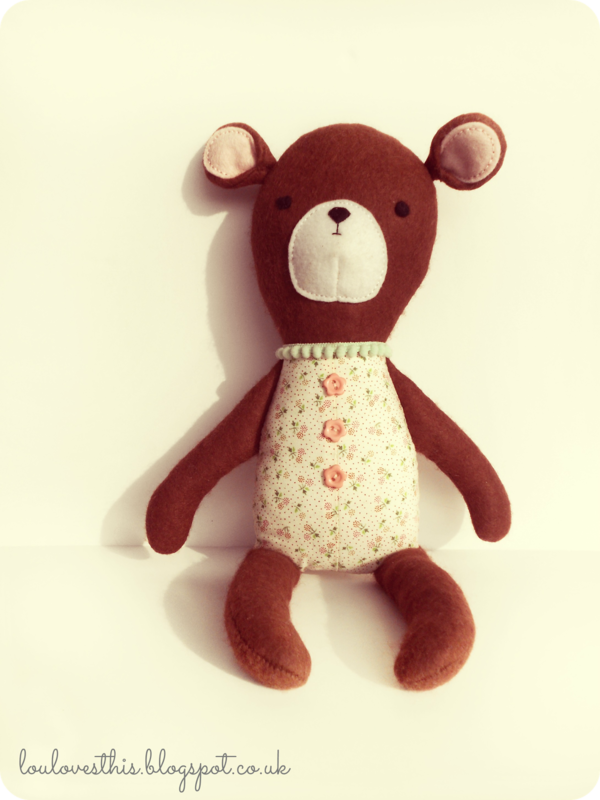 I foresaw a cute, huggable bear that could be found permanently tucked under her owners arm, getting dragged along for nap times. Ahem... 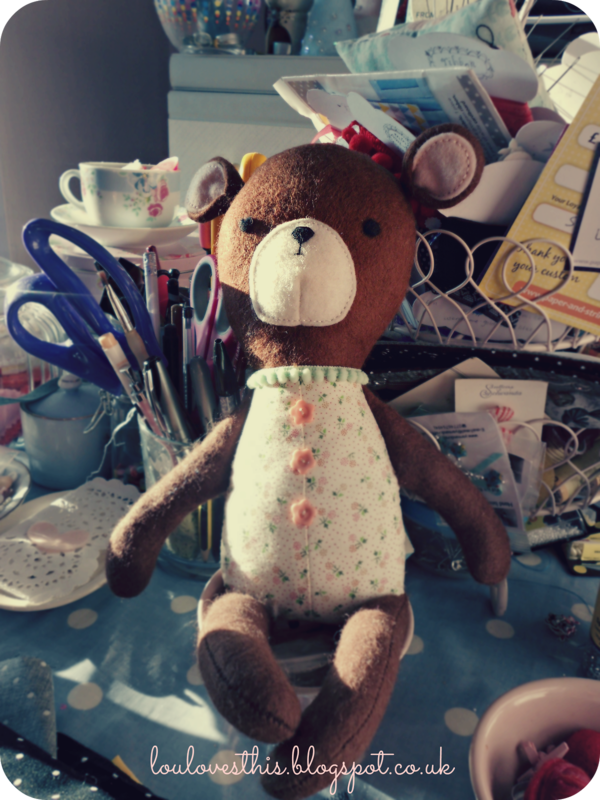 I think she kinda disproves of the mess that is my crafting desk!! Happy accidents, eh? Have you had any recently? In other news, it was my birthday yesterday :) I don't usually really bother to celebrate it much but this year, I had the loveliest day. I was taken for dinner (twice this week! Once on Wednesday and again last night) and had some retail therapy, I erm.. went a little crazy with the Soap & Glory ... I may have a problem lol. Anyways, I am back in fighting form, with lots to share! 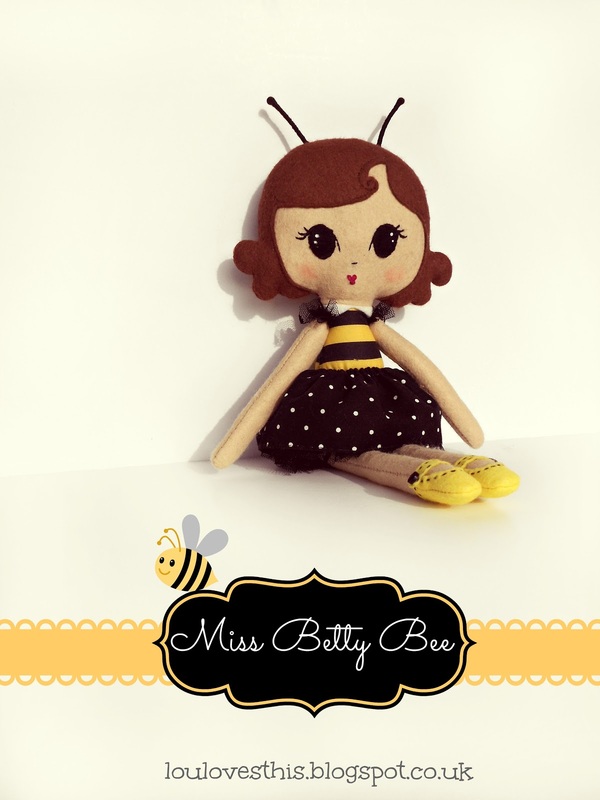 So without further ado.... please meet Miss Betty Bee! 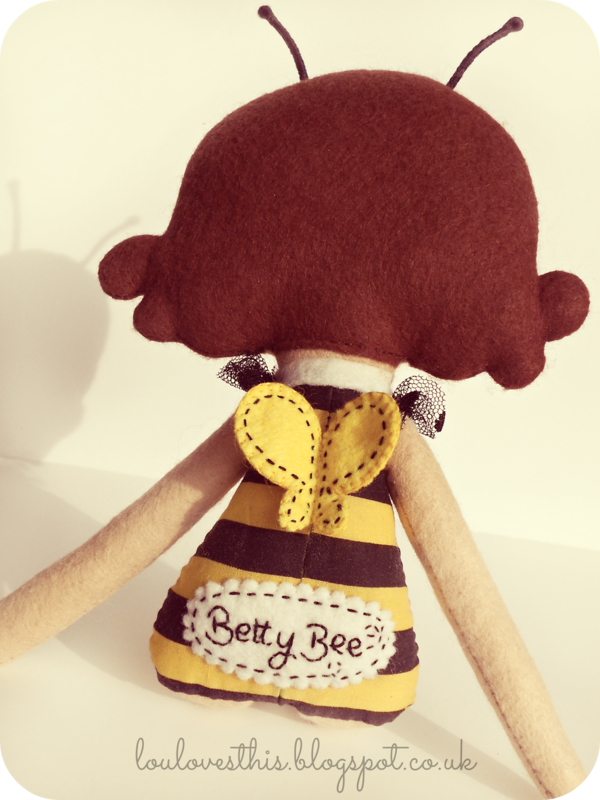 Little Betty has been floating about in my head for ages.... 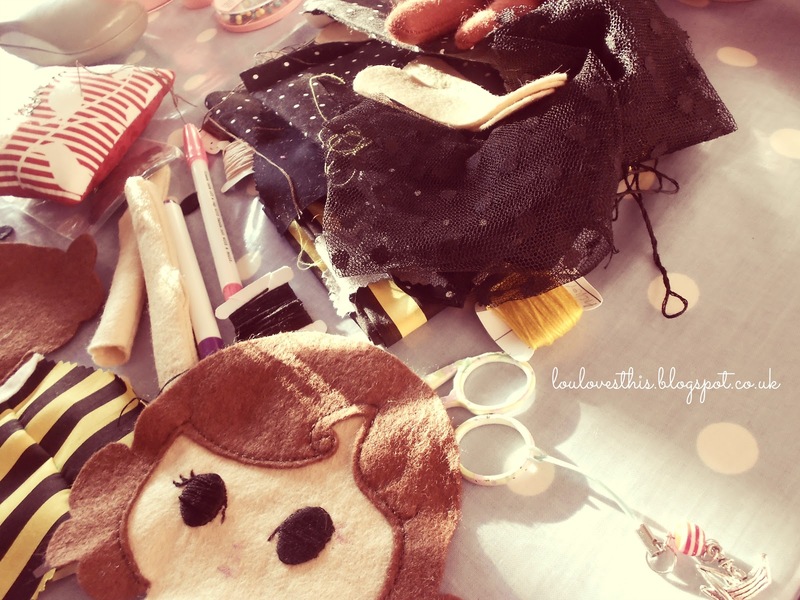 I originally sketched her months ago and was always gathering the materials and the bits n' pieces I would need for her, then all of a sudden, perhaps two weeks ago, I just HAD to make her!! It usually happens that way for me, a particular idea will stick in my mind I'll mull it over and think of nothing else... 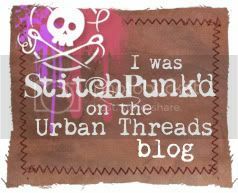 So as inspiration hit, I quickly pulled out the stash of yellow and black that I had gathered and got to stitchin'! 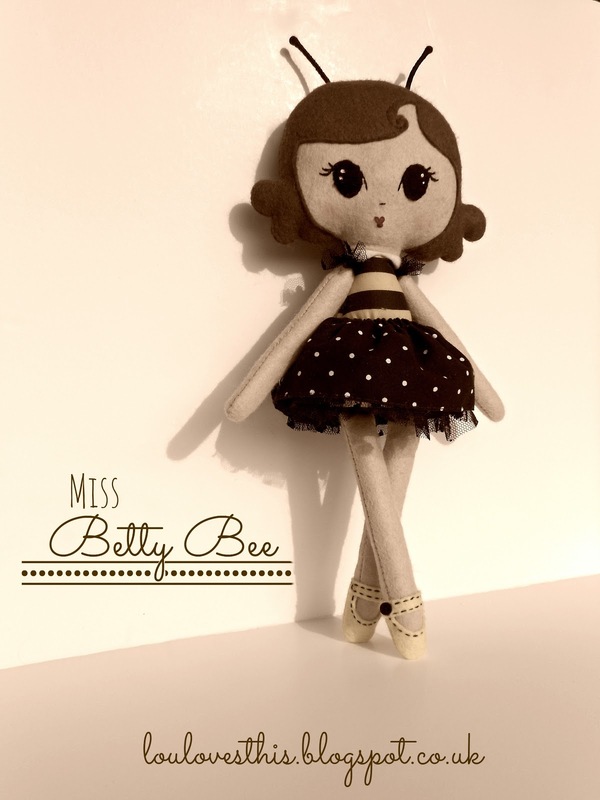 Miss Betty Bee is flamboyant and creative, she loves to sing and dance, in fact I'm pretty sure she longs to be a Broadway Superstar.... she wants her name up in lights!! 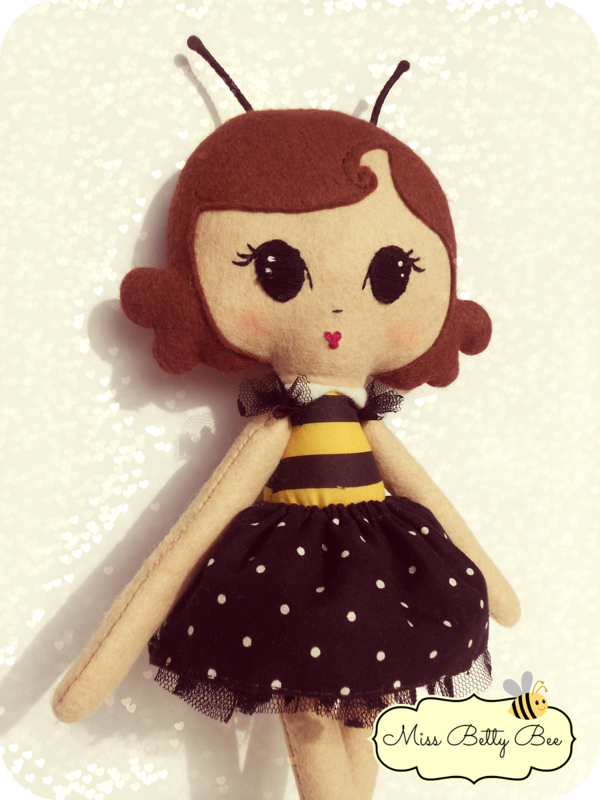 Again, she is entirely hand stitched by moi, and she will soon be available in my Etsy store. 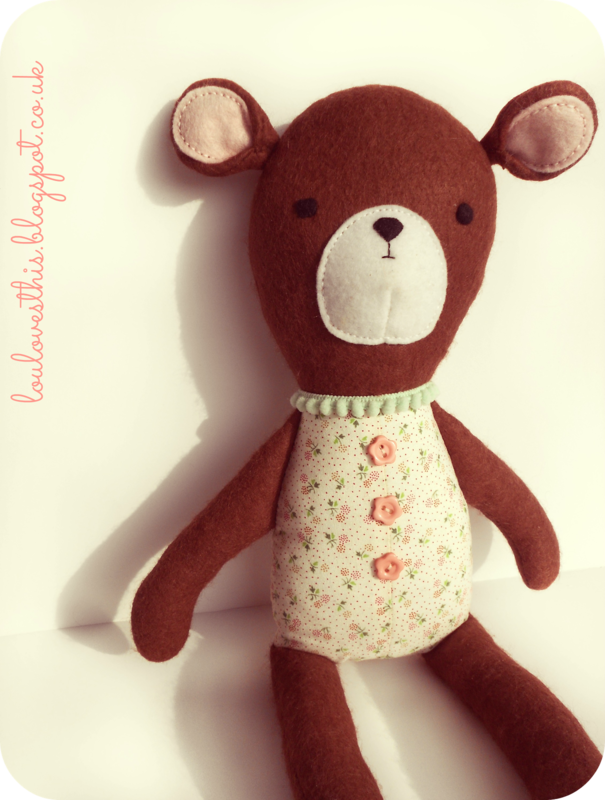 I am in full on sewing mode these last few days, and I currently have the cutest wee Polar Bear (her name is Patti... 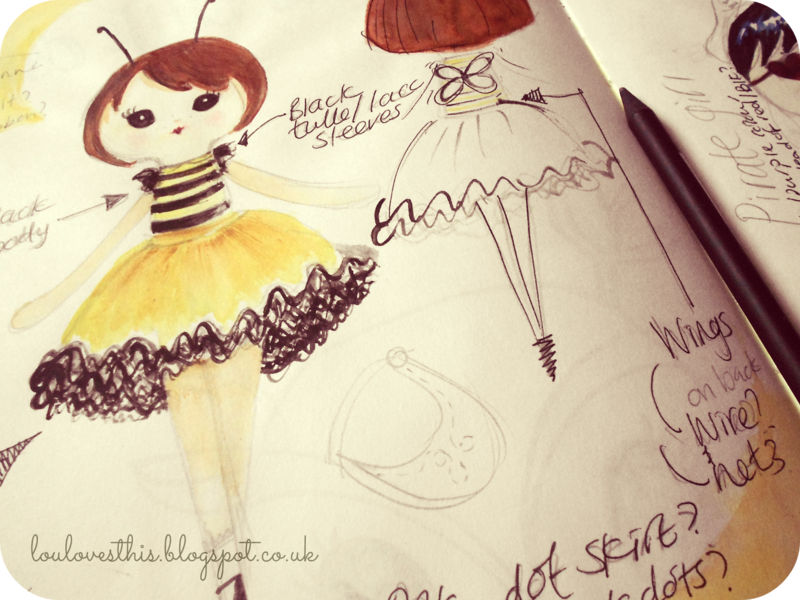 I think..) on my desk waiting for her new dress.... I shan't keep her waiting..